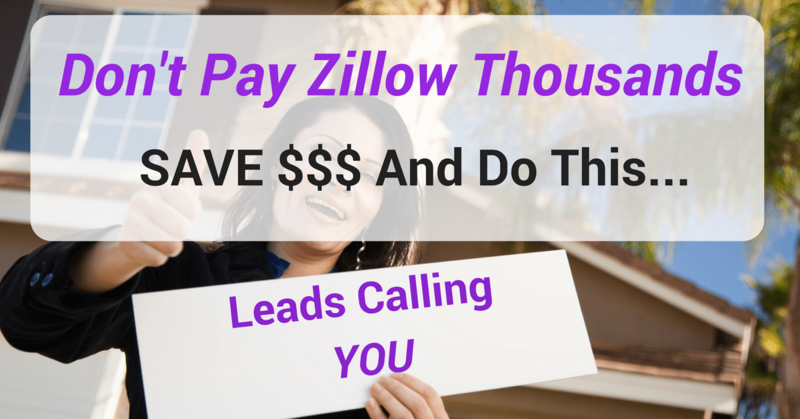 How do you get real estate leads fast? How do you stay in front of your past customers and leads so they don't forget about you? Tired of spinning your wheels and not seeing results? Could your business use a boost? 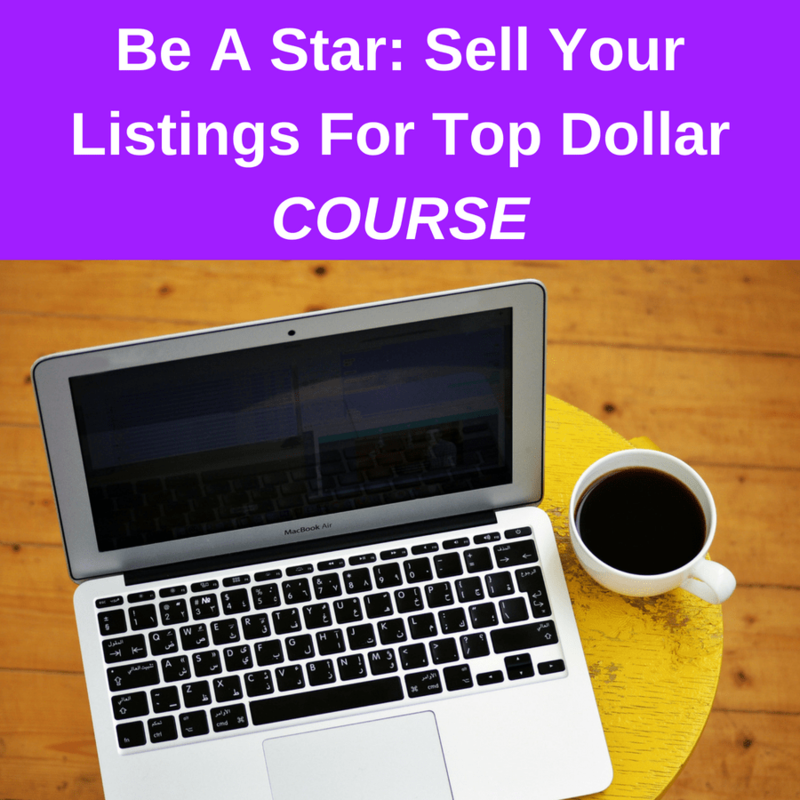 Interested in what other successful agents are doing? These 101+ tried and true real estate marketing ideas and lead generating techniques work for me and so many other agents. 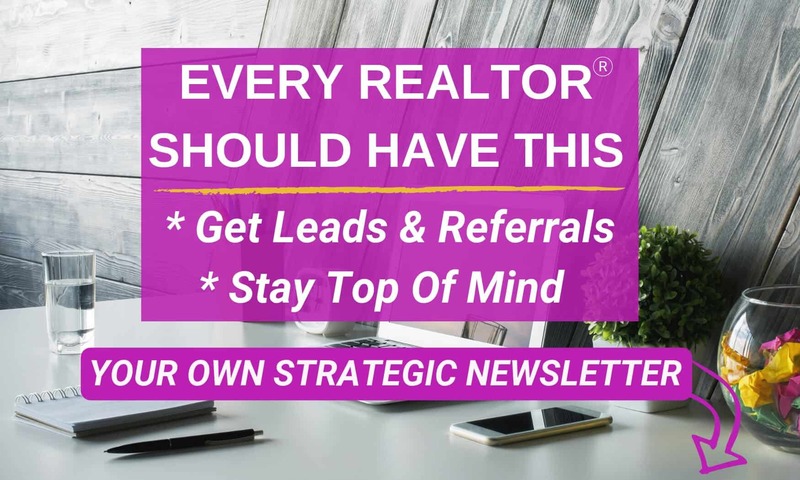 I know they'll work for you in generating real estate leads. Read some below and get the entire incredible list sent to you in a Printable. Enter your email above or below and you'll receive the full Printable version of the 100 Marketing Ideas & Techniques That Actually Work. The binder sets you up as a true professional. I’m surprised at the number of agents who don’t give one to clients and prospects. I have clients that tell me years later they still have theirs and they’ve kept all their home selling/buying info in it. It was an easy reference for them and they loved it. Go To: RealEstateSpice.com/binder for templates, visuals and how you can make your own binder. Have valuable real estate information so it's helpful to your customers and leads. Offer home tips and local events to add local flair. Be Strategic with creating links in your newsletter so you can see who is engaged and what they’re clicking on. For instance I include something for buyers and sellers…if I see someone clicked on a link it’s a flag to me they may be buying or selling soon. In my last newsletter I generated 8 CMAs, 6 direct phone calls and 10 emails to me within 24 hours of sending it…Not to mention the people who called and emailed me after receiving it just to say “Hi”…I LOVE IT! It's such a great way to connect with your sphere. 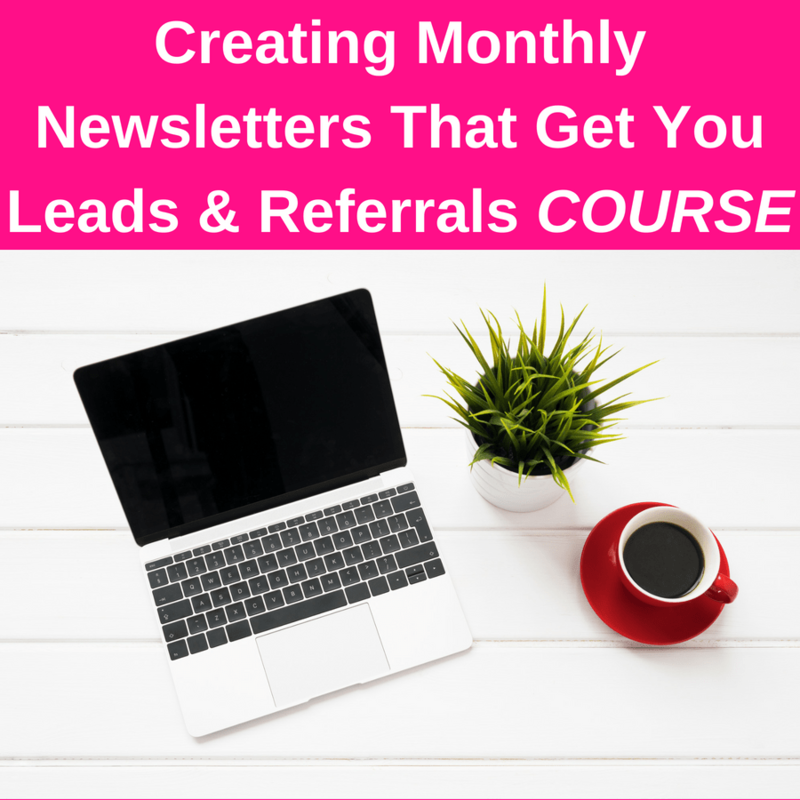 Learn how to create a super simple strategic newsletter that gets you leads and referrals and keeps you top of mind. I take you step-by-step in this course and you have an exclusive Mastermind community and group coaching to help you implement this. It's a FREE BILLBOARD FOR YOU! Get listings on highly traveled roads and you'll receive so many calls. I’ve received many excellent leads that's resulted in great leads converting to high commissions from people calling on my signs. You want a site that your users love to use and also captures leads and information for you. I've used the same website company for years and LOVE THEM. The website company I used does this and is only $59.00/MO. That is so inexpensive for all of those capabilities. This has literally made me Thousands of dollars over the years. I’ve had many agents ask me how to do this and turn them into customers. I don't actively market them now but I made $16,000 in the last 2 months from past clients and referrals as a result of this technique I employed years ago. 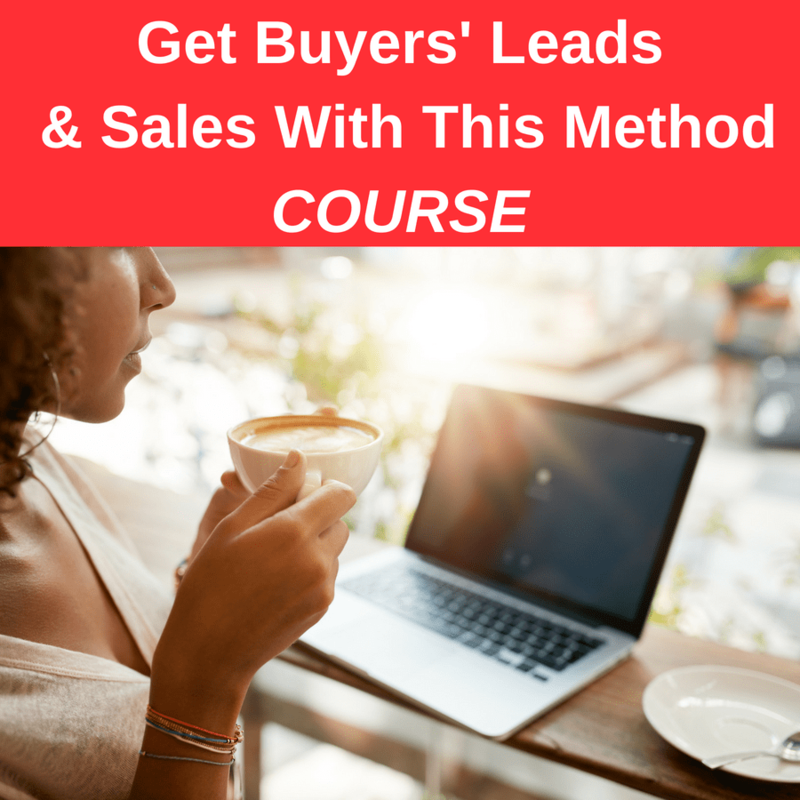 LEARN HOW TO DO THIS and start generating your own leads now. I have fold-over business cards that stand upright like a tent. I leave everywhere and particularly at homes I show. It’s very prevalent and stands apart because they stand up. Plus, it's a mini-marketing brochures. There's plenty of room for copy. It's nicely done so people don't throw it away. I include a client testimonial in mine. I also have a link that states: See what others say…with a link to my testimonials on my website. Have your business pic in there, your tagline and all of your contact info. When someone asks for your card or your contact info you can simply text (or email) You…your saved contact information on you. Just forward the contact. Using the monthly marketing ideas and unique dates from See Below. Offer a tip of the month using one of the unique themes/days. See below for the current month themes/dates and receive them monthly. GET YOURS BELOW. 11. 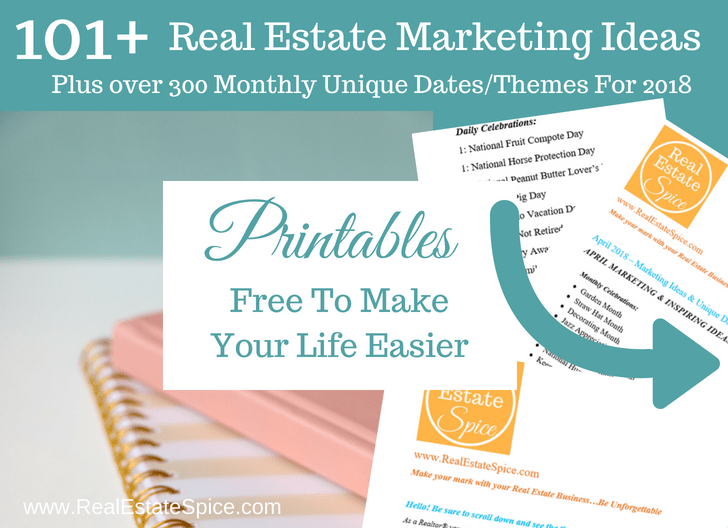 And Get 91+ More Ideas On “101+ Marketing Ideas For Realtors From A Realtor!” Get It Now, Below! Many people have offered to to pay me for this after they received it…they said it was that good and helpful! It's yours, Free! This tech tip will help you find a particular word or phrase quickly on a page. It shows you how to use the Control F key (windows) and Command F (mac) for maximum efficiency. Yes, here are the current ones…have a blast with them, stay on top of the dates and create activity around some! To keep it concise and simple for you, the dates are listed in order below. Get creative, have fun and be notified of these days regularly. Enter your email to receive them in a printable format monthly. We love sharing tips and ideas! Wondering how to hit the 6+ level income? Head on over to The 1 Common Denominator of 6+ Figure Agents. You have so many great ideas I will be using a lot of them. Oh thank you! I’m so glad. I’m just getting the 2019 Monthly Special Themes and Holidays done for next year too. If you receive my emails you’ll receive them when they’re ready too. Nice! I’ll definitely be reviewing form my 2019 Planning this coming month! Great! There’s a lot of information in it! With All this Great information I Am So Excited to get Started!!!!! Highly Motivated!!! 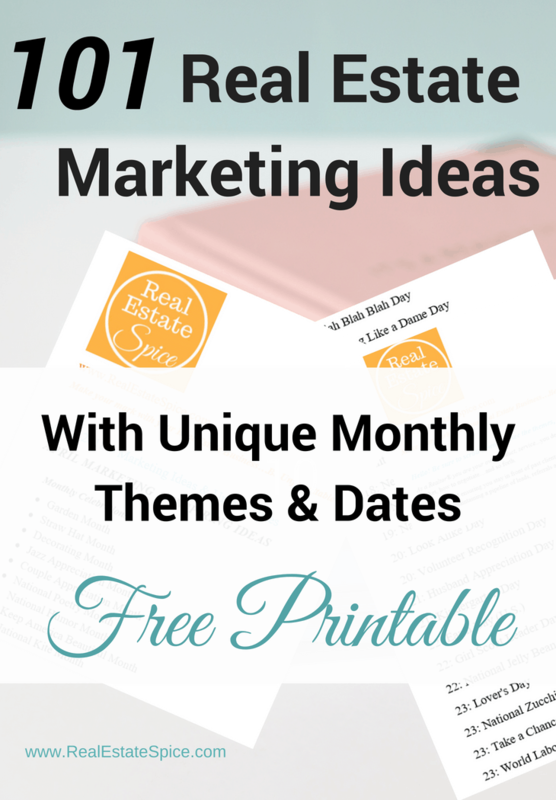 Cheryl, yes…the 101+ Real Estate Marketing E-book with Unique Monthly Themes and Dates is a free download.